Looking for Disney girl dog names? Finding the right name for your new puppy can be a difficult task but it does not have to be. 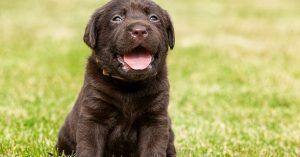 To help you find a good name and to teach you what makes a good dog name we have created many articles on dog names. Besides all of the tips you can find on our website we also have a very handy tool that can help you figure out what kind of names you like. Our database of dog names contains over 40.000 dog names so there will definitely be a beautiful one for your dog in there. 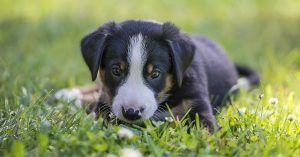 In this database you can find many categories ranging from Disney dog names to Spanish dog names to dog names starting with B. Anything you want, we have it. We even have lists of names that are inspired by food! You might have seen it on our website already, our dog name generator. As the name suggests, it generates dog names! It is quite easy to use. You fill in a few details and the generator lets you inside the database. Once in here you will find a panel with filters on the side. These filters can be switched on and off to whatever you prefer. This will help the generator to figure out what you like. For example you are to select ‘female’ under gender and ‘Disney’ in themes. Now the generator will show you all the Disney dog names female! This way you can find anything you need. Cute puppy names, movie inspired dog names, dog names starting with A and so much more! First we would like to give you a few of our best tips to help you find the best name in your ‘girl dog names from Disney movies’ category. These can really come in handy if you are feeling a bit lost in this whole quest on finding the perfect name. You might even wonder, is there such a thing as a perfect name? Yes there is! Because we believe that as long as you, the owner, believes the name is perfect then it most definitely is! Remember that, you get choose. Tip 1: Remember that the name is a command. Your dog will not understand that his name is actually his name. Your dog will realize that when you call the name, he has to listen but knowing what the word itself means not so much. What it comes down to is that the name is a command and just like every other command we try to teach our dogs, the name has to be short and clear. This means that picking a long name is not very convenient. We do not tell our dogs to ‘Sit, please sit down love’. No we tell them to ‘sit’. When training you will soon realize that short and clear terms is just what a dog needs. In addition to the tip above, the name should not be too long or complex. This means that picking a name that is longer than two syllables will get confusing. Long names are often shortened which can confuse your dog. Calling your dog Alexander but also Alex will not work. It is much better to stick to a short name form the beginning. Also a name that is hard for you to pronounce it not a good choice. Maybe you are able to say it clearly most of the time but when you find yourself in an emergency situation this complex name will be really inconvenient. Imagine your young puppy about to run off onto a busy street, your reaction will be immediate, quick and maybe a little shocked. You will be shouting the name and that will be done much easier with a name like Max then something long and complex like Theodorus. Different studies have shown that dogs respond better to certain sounds and letters. It shows that letters like ‘s’, which are often pronounced hard and clear, work really well. Also a name ending in an ‘ey’ or ‘ay’ sound should do really well. So this comes down to names like Casey, Daisy, Marley, Sally etc. Of course this does not mean that the name for your puppy should have an ‘s’ or should end with ‘ey’. Just think about which letters you pronounce a bit harder. Which combinations of letters are easy and clear to pronounce? Think about this. Practice out loud! You will soon see what works best. Tip 4: Pick something fun! We know, there are so many things you can think of. When it really comes down to it the most important thing to remember is that the name should be fun. You have to love it and it has to suits your dog’s character as well! Pick a name that you absolutely love. This can of course be in the category of Disney inspired dog names female but keep your eyes open. Maybe you just happen to stumble across something completely different but still love it a lot! Giving dogs a name goes a long way. Through the years the trend in dog names has o course changed and developed. When humankind first started keeping animals as pets they might not even have been naming them! In the beginning dogs were only used for hunting or other working activities. Later dog breeding also happened for the sole purpose of their looks. We started to see dogs as friends, companions. Of course nowadays there are still dogs that are used as working dogs and in some cultures they are even seen as food. In our modern western culture this is unthinkable but it does happen. The first example of giving dogs a name is that of the Etruscans in Ancient Egypt. In the great cemetery near the Pyramid of Cheops there was an inscription found in 1935. This inscription indicated the burial of a dog named Abuwtiyuw. Abuwtiyuw was a dog worshipped by the Egyptian king of that time and he buried Abuwtiyuw when the dog died. This was quite extraordinary because the way Abuwtiyuw was buried only happened to kings and noblemen in that time. Through the years there have been a lot more dogs that go down in history. Some very heroic, others simply famous because their owners were. One lovely example is that of the Japanese Akita Hachiko. You must know Hachiko or have heard of him. The Japanese Akita walked his owner to the station in Tokyo every day. When his owner returned from work Hachiko was there waiting for him. When Hachiko’s owner passed away, Hachiko kept waiting. Day in day out, never leaving. His exceptional loyalty did not go unnoticed by others. When Hachiko himself passed away, a statue of the dog was put in his place. You can still find the statue at the station in Tokyo to this day. Of course we are also here to inspire you. The following names are Disney dog names for girls that we really like. There is also a short explanation or story about the name to help you figure out what suits your dog’s character best! Okay, she is not a dog but the name is very pretty. Besides that, Mulan is an amazing example of doing what is right. Fighting for something you believe in. She entered the army when it was said that girls could not do that and basically saved China. Maybe your dog is also a fearless, feisty girl that deserves the recognition. Mulan would be amazing and besides that, the name has something exciting and mysterious to it at the same time. Considering the fact that a name works best for dogs if it is short, the two syllables that Mulan exists of is great! Of course the first you might think of when it comes to Disney inspired girl dog names, since Lady is a dog. We think Lady is a perfect dog name, it sounds amazing and it applies to our tips! The name is short and can be pronounced clearly. It ends in an ‘y’ sound which works really well and the ‘d’ and ‘l’ can be pronounced hard as well. To us, Lady is a classy name and can be given to any girl dog that seems a bit glamorous and diva-like. It just sounds so much fun! Also not a dog but we love the sound of it so much! It is a short name that can be pronounces clearly and loud if necessary. It ends in ‘y’ and only contains two syllables so it is basically living by our golden rules. Besides that, doesn’t it sound incredibly cute? Wendy is a dreamer so it would be lovely to give the name Wendy to an adventurous or sleepy dog!